Summer is just around the corner. I know the calendar says it doesn't start until June 20, but if you're like me, it starts somewhere around Memorial Day and doesn't end until Labor Day. While some people prefer mysteries, thrillers or biographies for their beach reading, I like to keep it light. I'm sharing some of my favorite reads that pair nicely with a refreshing pina colada or Bahama Mama. 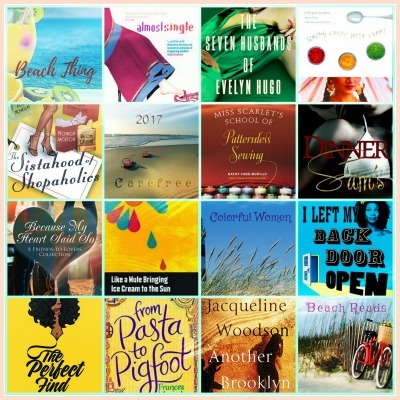 Or maybe you're not planning to hit the beach this summer, but you need a palate cleanser after some of the heavier books you've been reading. I've got you! Some of my favorite books are about women of colour just having fun. Too often we get saddled down with other people's problems and take on the burden of the world. All you'll find in these selections are carefree, colourful women who sometimes get caught up in quirky situations, bad romances and silly schemes. All of the books are about women of colour from around the globe and were written by women from around the globe. Happy reading!